Airport runway optimization is an ongoing challenge for air traffic controllers. Since demand for air-transportation is predicted to increase, there is a need to realize additional take-off and landing slots through better runway scheduling. 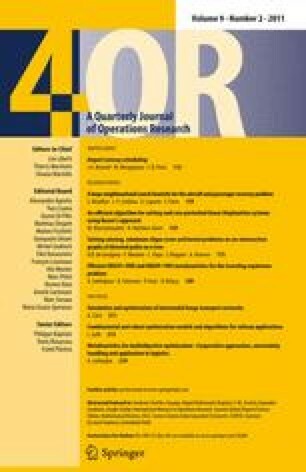 In this paper, we review the techniques and tools of operational research and management science that are used for scheduling aircraft landings and take-offs. The main solution techniques include dynamic programming, branch and bound, heuristics and meta-heuristics.